It's been a busy week, getting settled back in after the holiday and getting our holiday decorations up and ready. I've had a super productive week both on the blog and at home! Let's get into some highlights, shall we? 5.) Cold & flu season always coincides with the holidays, so I came up with this cute Get Well Soon Gift-in-a-Mug to beat the holiday headaches and make anyone's sick day cozy and bright! It would be great for a gift exchange or an advent calendar act of kindness! 4.) It's time to start crossing items off your Christmas shopping lists and I've got a round up of great gift ideas--all under $25!--for all the girls in your life on the blog this week! The hair tie bracelets are probably my favorite--practical and pretty! 3.) This burgundy + rose gold outfit is one of my newest faves and you won't believe how affordable this moto jacket is! Click the link to get full outfit details and if you have Kohl's Cash leftover from Black Friday you could score it for next to nothing! 2.) Thanksgiving was a total whirlwind visiting family in Kentucky and Black Friday shopping. It was my first time hitting the sales during the rush and I had a blast! 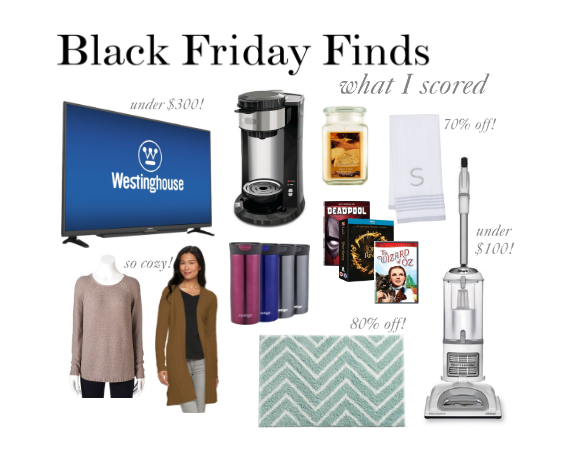 We scored a ton of great deals which I shared earlier on the blog. 1.) 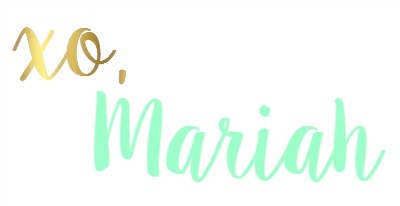 There are TWO giveaways going on on the blog right now! I shared how to rock a red lip and whiten your teeth easily at home with Smile Brilliant! That giveaway is offering a FREE whitening kit to the lucky winner and ends Monday! I also just shared this gorgeous red dress from Pink Blush and they're offering one winner a $50 gift card! So go get yourself entered to win, just in time for the holidays! Who else is ready to kick back this weekend and enjoy some hot cocoa by the light of their Christmas tree?! I'm thinking an at-home movie date with the hubs! Happy weekend! I love the get well in a mug that is such a good idea and so cute! Oh, I like the get well gift in a mug idea! You look amazing in that burgundy jacket!